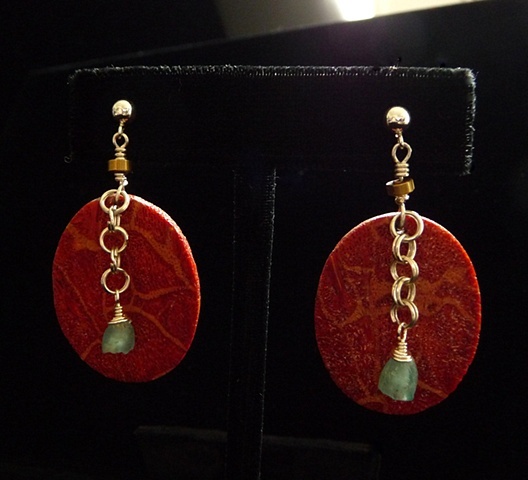 These earrings feature beautiful coral slices of sea sponge. Aqua colored glass flower beads fall at the center from sterling silver links. They hang from sterling silver posts.